Are you in a time of transition and change? Is your growth limited by feelings, thoughts and behaviours that hold you back? Are you ready to let go of trauma from the past, release trapped emotions and reclaim your life and energy? Click for more information here. Our Transformational Guidance package is a transformational process to be taken over 6 weeks or 3 months for transforming our fear of change into a love a life through a combination of wellness coaching, spiritual counselling and nurturing yoga practices for the body, heart, mind and soul. Why the Transformational Guidance Package? This Transformational Guidance Package will help you let go of your fears around expressing yourself authentically; support you to create connected relationships with people who love and accept you as your are; give you the confidence to let go of the thoughts, feelings and actions that pull you out of alignment so that you can live in a way that is authentic for you while you share your unique gifts with the world. You will begin your Transformational Guidance with the creation and/or review of your Bespoke Nurture Plan in your Nurture Planning Session. During this session you will explore how you would like to feel in your body, heart, mind and soul and create a nurture plan to make it happen. Followed by 3 Transformational Guidance sessions where you will be challenged to reflect on and connect with the deep wisdom of your body, heart, mind and soul and encoraged to step into your creative, powerful and radiant self. You will end this process of transformation with a Growth Summary Session, where you will be able to consolidate all that you have learnt and achieved as well as receive suggestions for what to do next. Transformational Guidance is perfect to kick start a change in your life that you know that you need. It is a fully supported process that enables you to release that which holds you back and open up to those areas of your life that need to be more in alignment. With deep questioning and holding you will be able to identify and let go of that which you need to release to listen to the wisdom of your body, heart, mind and soul. We will use the stages of the Reap Abundance Pathway as a framework to support you to take the next step in embodying your authentic, creative, powerful self. You want to let go of being afraid of being 'fully' you and want to show up in the world unapologetically. You feel like you can't dim your light fear of upsetting other people any longer. You no longer want to be worried that by being authentic you'll let people down or end up not being loved and accepted as you are. 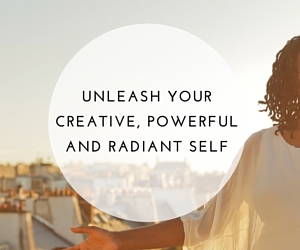 You are fed up of the fear and ready to give yourself permission to be your creative, powerful and radiant self. What is it that you know Transformational Guidance can help you release or bring more of in your life? Start your Nurturing Journey today by clicking "Book your slot" and give yourself permission let go of your fears and live a life you love.